Whether you work in the sports or fitness industries, run a sports team of some kind, or just want to encourage your employees to stay fit and healthy, our range of promotional tracksuits in Melbourne, Sydney, Brisbane, Perth and beyond could be just what you’ve been searching for. Novel Tees supplies a range of custom tracksuits that can all be personalised with your logo. 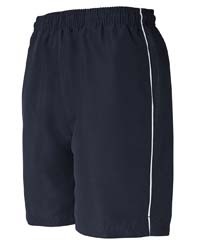 We have a wide variety of clothing to choose from, including: promotional track tops (from hoodies to jackets), promotional track pants (from leggings to sweats) and promotional track shorts (from skorts to basketball). Many of our customised tracksuits in Melbourne are available in men’s, women’s and children’s sizes. When you need to provide a uniform for people of all ages and genders, we’ve got all your bases covered. All of our branded tracksuits in Melbourne are made from fabrics that have been specifically designed for sport and other active applications. Rest assured that your printed tracksuit will breathe or keep you warm when it needs to.